Join us at the Winter Hibeernation! 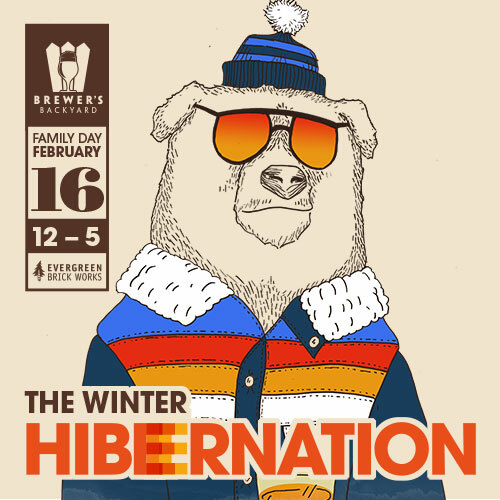 The Brewer’s Backyard kicks off its 2015 season on Family Day, Monday, February 16th with The Winter Hibeernation. Our first event of the year will feature top Ontario breweries Great Lakes, Beau’s All-Natural and Indie Alehouse, along with delicious food from Urban Carnivore and Sugar Pie Honey Bunch. New this year will be a slight time change for our events – we’ll be running from 12 noon until 5pm at each one. For our Family Day event, as we are still in the throes of winter we’ll be inside for the Brewer’s Backyard, in the Young Welcome Centre which is right next to our usual spot at Koerner Gardens. Also new this year will be increased family programming within our Brewer’s Backyard space. So there will be more activities for the kids while mom and dad enjoy some tasty brew. More details on the family activities will be announced soon. And of course there will be skating right next to the Brewer’s Backyard during our event (although no beer while skating). We’ll also have some more interesting things that we’ll announce soon for the event. We’ve got a lot of good stuff coming this year! As always, the Brewer’s Backyard is free admission and no tickets are required. The event is all-ages and is family-friendly. 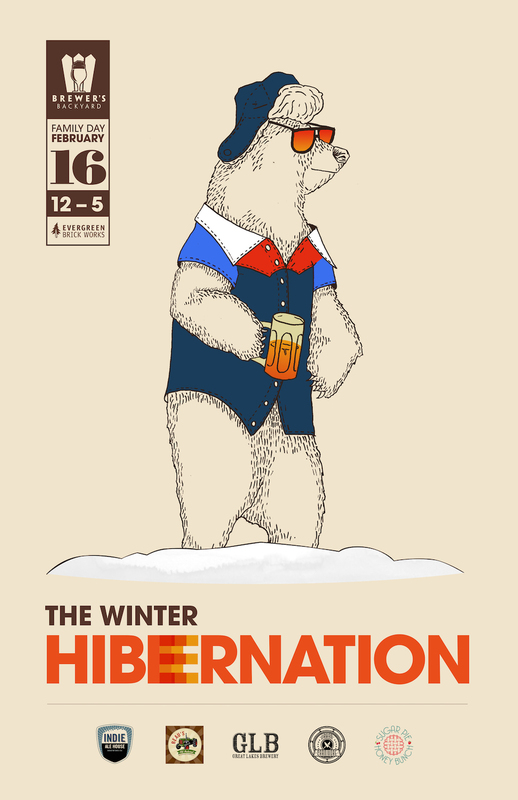 The Winter Hibeernation will run from 12-5pm at the Young Welcome Centre of the Evergreen Brick Works. We hope to see you there!